Similar to her style in “Cobra,” but with two years of parenthood in her rearview mirror, Wong finds her groove in telling stories that exploit the worst and grossest parts of pregnancy and being a new mom. She has found an incredible way to weave her entire performance together, and extract the biggest laughs by linking jokes throughout the show. Relatively unknown until the release of “Baby Cobra,” Wong has catapulted into fame over the last two years. She is most decidedly not appropriate for all audiences, but her sometimes cringe-worthy stories have a way of landing with her audience in a deeply personal way. 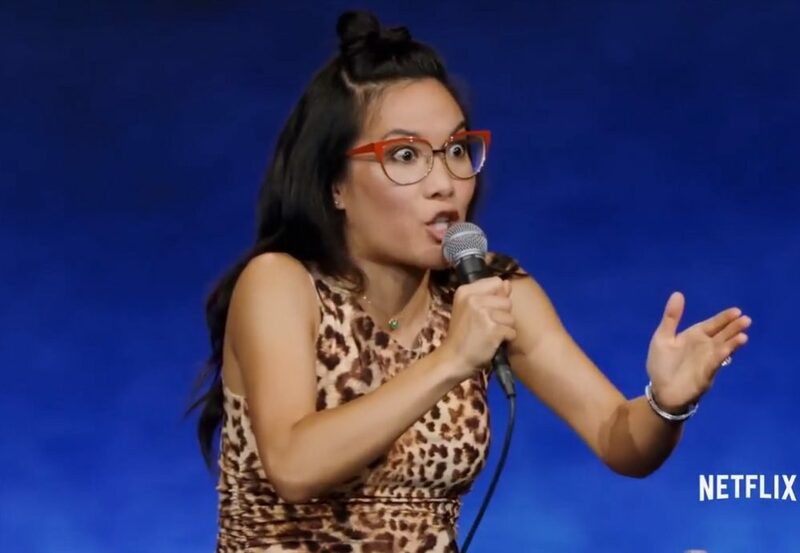 At once self-deprecating and mystifyingly confident in an animal print maternity dress, Wong seamlessly addresses issues like being a working comedian desperate to escape her child for even one night, and the ravages childbirth has worked on the bodies of herself and her friends. Wong is unique in exploiting motherhood as a mainstream female comic. It is impossible not to notice that she is massively pregnant. At times she lifts her dress or twerks on stage. This fearlessness coupled with her intentional, pause-heavy joke delivery leaves room for huge laughs at every turn. Wong touches on politics occasionally, to demand extensive maternity leave to give her body time to recover from being demolished, and to point out the inequality of expectations put on new moms versus new dads. She was a television writer for several years before the release of her specials, and Wong clearly has real talent for timing and storytelling. As in “Baby Cobra,” the end of the special is the climax of “Hard Knock Wife,” as all the jokes come together and send the audience into stitches. High energy and at times pretty crude, the special is a worthy investment of time for some big laughs.